Tensions have risen between the two allies as a video has emerged which shows a pair of US soldiers laughing at the Qatari flag. Throughout its air campaign in Syria, the US has shown a consistent disregard for civilian casualties. Thanks to new rules recently approved by the Pentagon, the death toll looks to climb even higher. The US-led coalition against the Islamic State, or Daesh, conducted seven airstrikes in Syria and 11 strikes separately in Iraq, according to US Central Command (CENTCOM). US President Barack Obama has maintained that the redeployment of 300 military “advisers” into Iraq is not a return to combat operations. 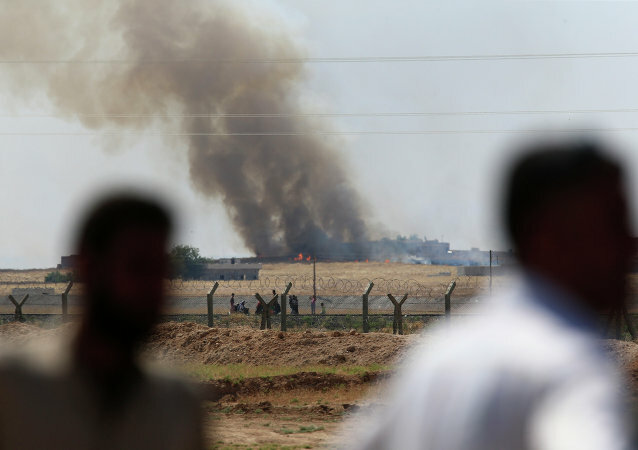 But according to Kurdish fighters, US soldiers have been involved in a covert ground war for months. The US-led coalition military forces conducted nine airstrikes in Syria and 14 airstrikes in Iraq, according to the US Central Command. The United States may be setting the stage for an industrial-strength military presence in Syria, given the narrow capabilities of special operations forces, former US head of Central Command David Petraeus said at a Brookings Institute event on land warfare. The United States will likely increase the number of combat troops on the ground in Iraq to fight the Islamic State but will stop short of launching a full-scale invasion, former Pentagon official Lawrence Korb told Sputnik. 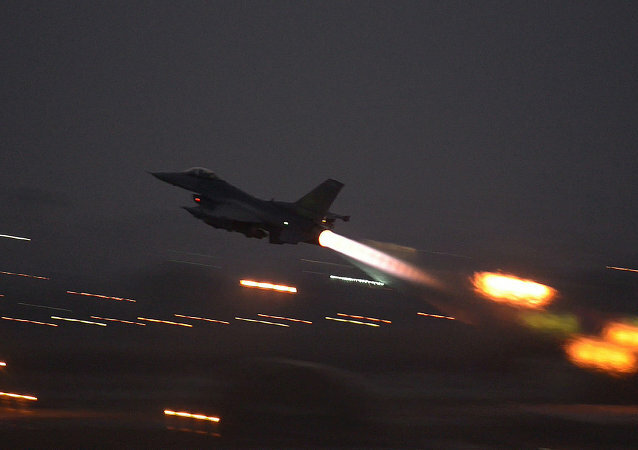 The US-led coalition conducted eight strikes in Syria and 14 strikes in Iraq coordinated with and in support of the Government of Iraq, according to the US Central Command. The US-led coalition against the Islamic State (ISIL) conducted 21 airstrikes in Iraq and three strikes in Syria, according to the US Central Command. Pictures that show US-made weapons in the hands of terrorists, which have allegedly been released by al-Qaeda’s affiliate in Syria, the Nusra Front, are old and have been re-purposed by the fighters, US Central Command (CENTCOM) said on Friday. New details have emerged about Centcom’s process of manipulating intelligence reports. Using bullying tactics, military leaders were able to paint a misleadingly optimistic portrait of the US bombing campaign against the Islamic State. On September 10, 2014, US President Barack Obama unveiled a "comprehensive and sustained counterterrorism strategy" to "degrade, and ultimately destroy" ISIL. However, 12 months on, it seems the US-led attack on the jihadist group is struggling to cripple the Islamists. The US-led coalition against ISIL has destroyed the terrorists' operating base and staging area located in a stadium near Ramadi. 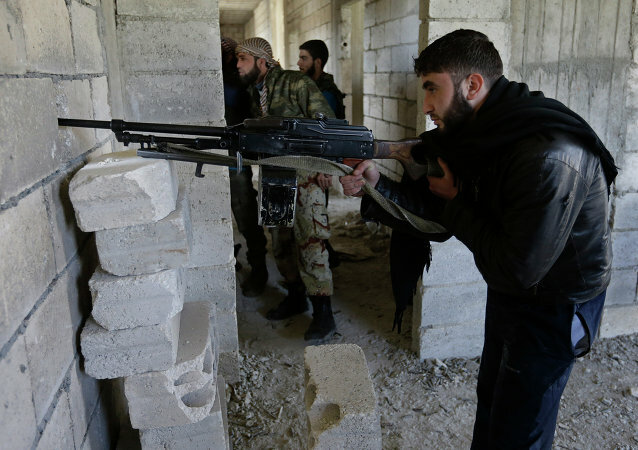 The United States has started training its third class of Syrian rebels amid a fight against Islamic State radicals who are currently being targeted by US-led international coalition airstrikes. US-led airstrikes targeting the Islamic State (IS) in Iraq and Syria have killed more than 450 civilians over the past year, a new report said, even though the coalition has acknowledged only two non-combatant deaths. The Navy plans to pull its aircraft carriers out of the Middle East temporarily this fall, leaving US Central Command, which is leading the fight against the self-proclaimed Islamic State terror group, without its main airstrike platform. Officials from US Central Command will meet with Lebanon's Defense Minister Samir Moqbel as well as the chief of the Lebanese armed forces, according to a local newspaper. As the Saudi-led bombing campaign against Houthi forces in Yemen continue, the US is standing by one of its key allies in the Middle East. On Thursday, a senior military official said that American tankers will begin refueling Saudi warplanes. The US Central Command reports that the US-led coalition forces conducted 14 airstrikes against the Islamic State in Syria and Iraq. Two Iranian Revolutionary Guardsmen were killed by a US drone in the Iraqi city of Tikrit, according to Iranian state media, a report that the US refutes, saying no drone strikes occurred on the day of the men’s deaths.